...for every order. 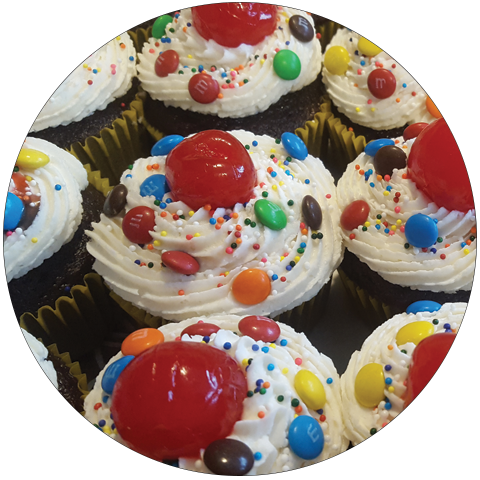 Terri Ann’s bakes in SMALL batches just for YOUR order. 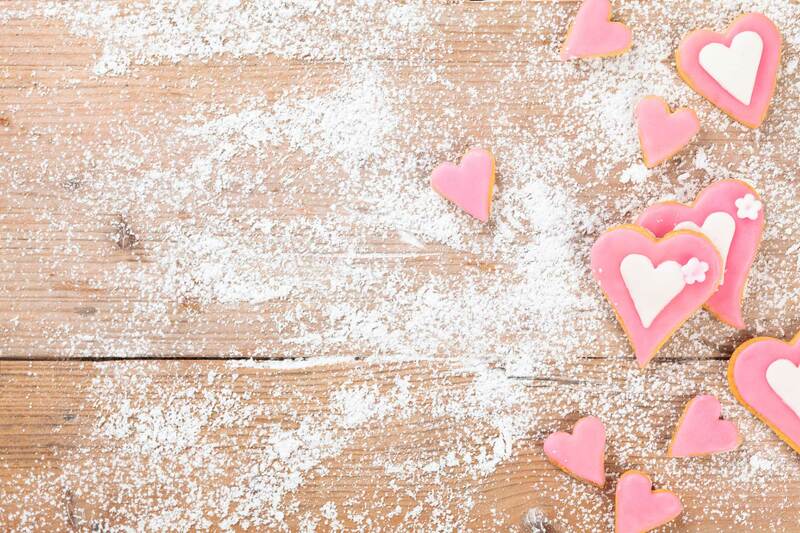 Recipes handed down generations to create cookies that are a celebration of goodness. Old family favorites. 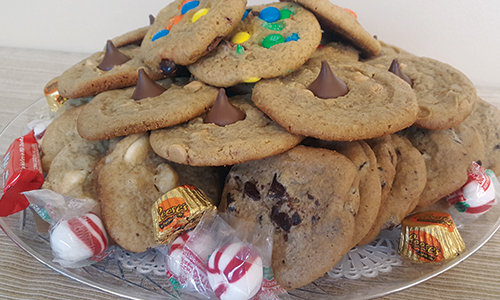 ...better then an impeccable assortment of Terri Ann’s gourmet cookies nestled in a gift basket, gift box or tray. Chunks of real chocolate, toasted nuts and other natural fresh ingredients go into every bite. For your next personal/corporate event or send an arrangement to your loved one or valued client for any occasion. Our arrangements can be hand delivered locally in Rochester NY or shipped anywhere in the New York Area. *Chocolate dipped cookies are not available at this time. 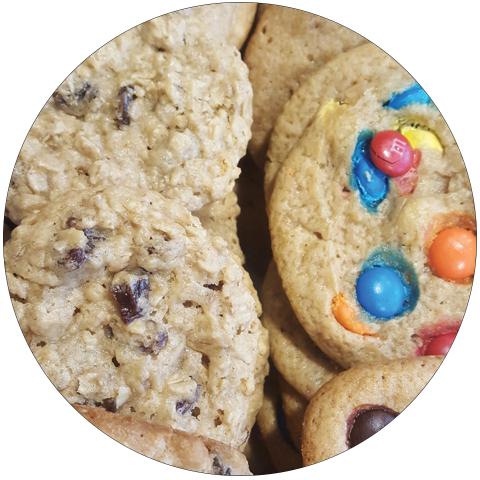 A Classic cookie variety with M&Ms, Chocolate Chunk, Peanut Butter, White Chocolate Macadamia Nut, Oatmeal Raisin, Sugar with sprinkles, seasonal cookies and chocolate fudge brownies. 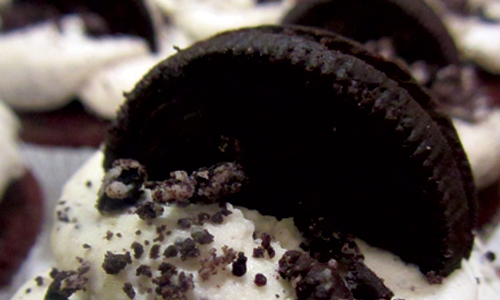 Melt in your mouth and fresh! A variety of butter cookies, white meatballs, chocolate meatballs, macaroons, neapolitans, 3 kinds of biscotti. 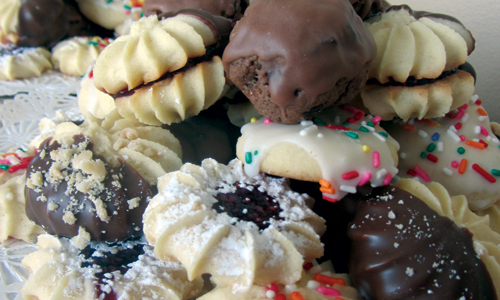 Classic cookies, brownies, Italian cookies, and cupcakes all add up to an impressive sweets table. Let Terri Ann’s create that for your next event. 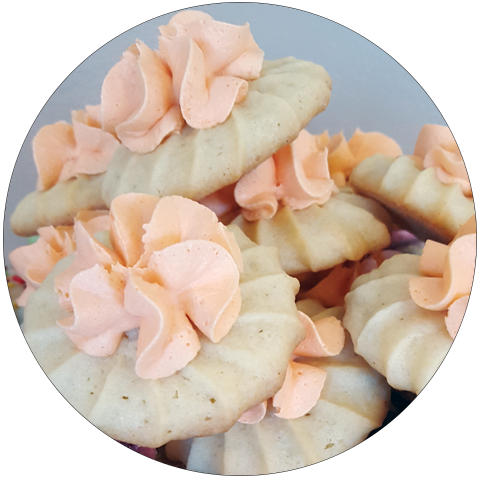 I have ordered Cookie Baskets from Terri Ann’s Cookies for about three years now. As I think about it I have ordered numerous times and I have never been disappointed, neither have the recipients. I know I can call her and just let her know how many people, the occasion, some back ground to the people and what I would like and what I would like to spend and I am never disappointed in what she delivers. In fact I am actually impressed in what she delivers for what she charges, I feel she goes above and beyond which is why I have not gone anywhere else with my business. Thank you Terri. 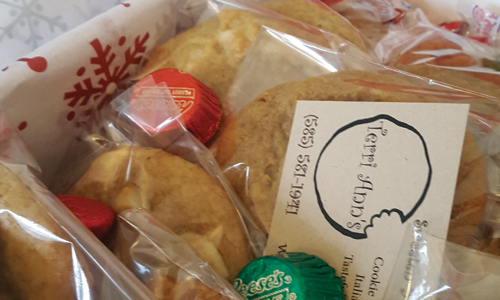 My organization has been a client of Terri Ann’s cookies for about two years. 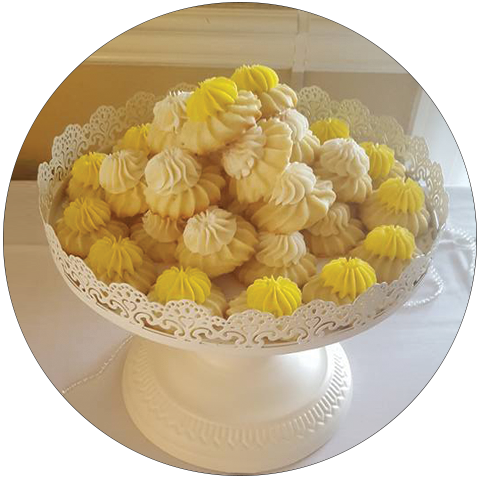 We typically order cookie trays for our staff, or for friends of our agency, who have lost a loved one. In addition to baking fabulous cookies, Terri Ann is a joy to do business with. She provides stellar customer service and is always very accommodating. She even brought us a delicious cookie tray as a “thank you” and to sample for ourselves! I can personally vouch for their quality, and feedback from the recipients of her cookie trays is always very positive. I highly recommend! 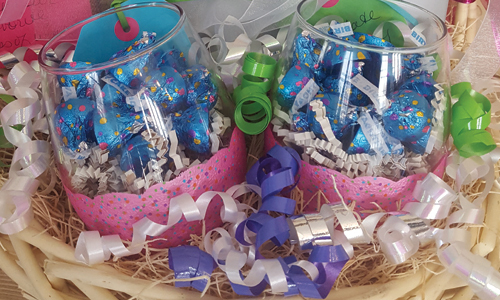 Terri Ann’s cookies/gifts are a wonderful gift for any occasion. 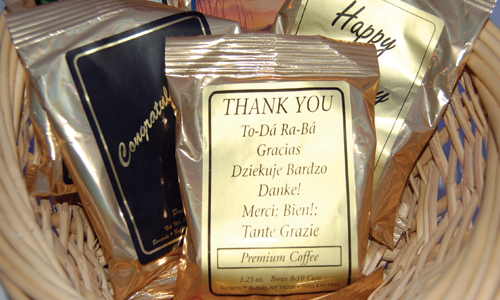 I have ordered from Terri Ann for numerous events and all her products are fresh and delicious! She insures delivery of the cookie/gifts very quickly and always adds a lovely personal touch with all her orders. Terri is incredibly talented! The cookie tray she made my daughter was delicious and looked incredible. Thank you! Terri’s cookies are the best! We get them every week for our employee’s birthdays and have had no complaints at all in the 9 months that we’ve been using her. She is so friendly and easy to work with. Whatever you want or need she can make happen. 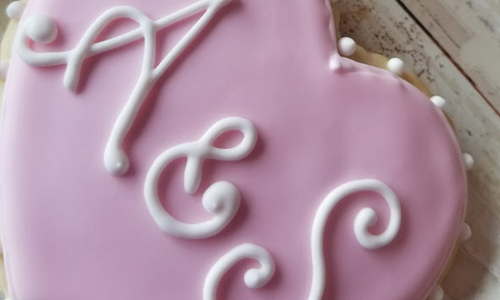 We’ve asked her to make cookies with specific logos on them, we’ve asked for different themed sugar cookies and everything is just so good and looks good! I strongly recommend Terri Ann’s cookies to anyone who is in need of cookies! Thank you for your another flawless Holiday season. We have ordered from here multiple times and each time they have gone above and beyond our expectations. 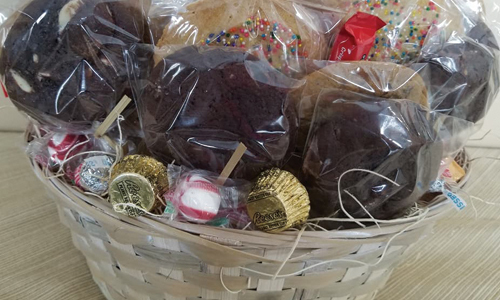 All our customers jaws hit the floor when they receive their basket of goodies. Amazing quality and price! We look forward to using you again next year!